This is probably a little late but I only just finished watching the movie on my computer and have some thoughts on it. 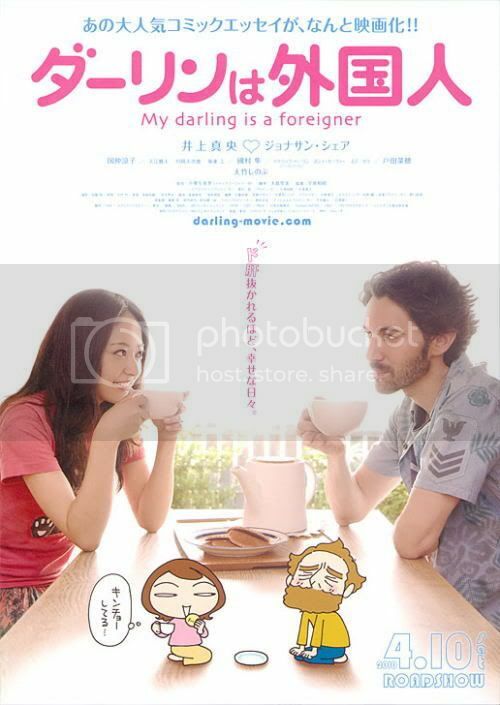 The show was on screen some time last year and it is, as can be gathered from the title, about the relationship between a Japanese girl, Saori and her American boyfriend, Tony. A look at the poster gave me the impression that it was going to be a light-hearted love comedy but unexpectedly, it was a pretty energy-draining relationship throughout most of the film. While lead actress 井上真央 (Inoue Mao) did marvellous in her portrayal of the emotional rollercoaster her character experiences from start till end, the same could not be said of her co-star Johnathan Sherr. The awkward combination of the professional performance by 井上真央 and what can only be described as really poor acting by Johnathan Sherr was a major hiccup for the film. It also didn’t help that Sherr’s character was one that triggered 「めんどくさい！」 time and again in my mind. Apart from the acting, I particularly noticed the portrayal of one of Sherr’s character’s American friend – a self-centered, arrogant foreigner in this country who thinks the world of himself. He demeans Inoue’s character who couldn’t communicate with him in English and tells her to work harder in learning English instead of thinking how as a foreigner living in Japan, he should be the one working harder on his Japanese. At a sushi bar, he also very unashamedly grabbed only one of two sushis off a plate that was passing on the conveyor belt in front of him instead of taking the entire plate to his table and made the outrageous comment that Japanese women are easy. He said, give him an afternoon and he can get the mobile number of any Japanese woman because he speaks English and the Japanese think that’s cool. For some reason, that was a little disturbing but while it wasn’t a stellar performance, the actor pulled it off better than Sherr could’ve done with his part. The show might’ve turned out less awkward had they swapped this guy with Sherr. I’ve watched this as well..